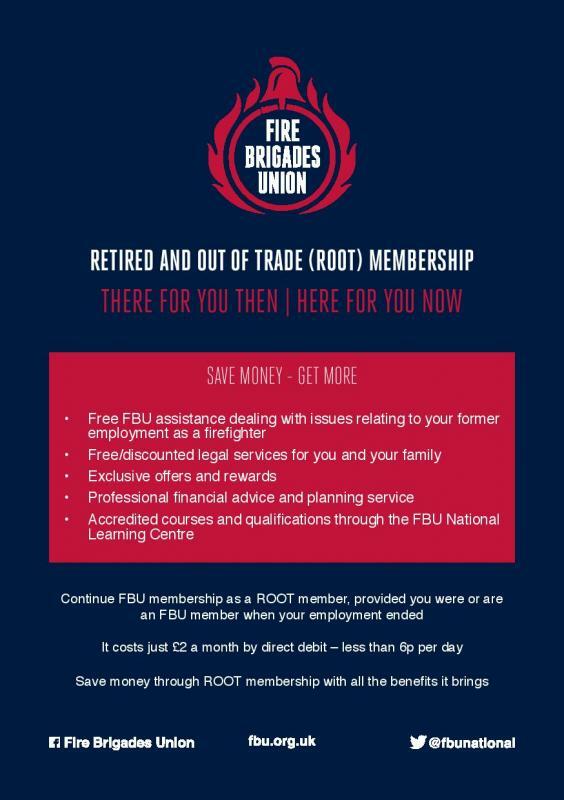 Head Office has negotiated a new package of benefits for ROOT members, including; financial advice, insurance, legal services and access to the FBU’s lifelong learning project. All of this is available to ROOT members for just £2 per month. By accessing these benefits ROOT members could actually save more money through their membership than the cost of the subscription itself. This flyer outlines the full package available to ROOT members.